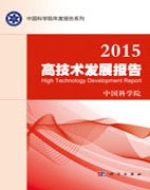 As the 14th edition of the CAS annual science report series, its main goal is to present a survey of science development in China and across the world in 2010, including an outlook of science development trends in major or frontier fields, reports on representative achievements of Chinese scientists and science topics of public interests, a description of the important role of science in China's strategies of developing the country through science and education and sustainable development, and recommendations to the national authorities on science development strategy and policy. The report provides consecutive reference to decision-making, legislative and administrative departments at various levels. It intends a wide readership, including policymakers and administrators at various levels, scientists and engineers from research institutions, colleague faculties and students, and the general public. 8.2 Some Thoughts and Suggestions about Implementing "China Industry 4.0"